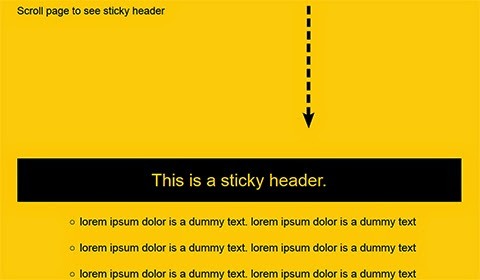 Sticky elements are page elements that stick to a position within the user's browser, even as they scroll. Sticky elements are used to always keep content within the user's line of sight. This content could be navigation, important information, or even advertising. In this tutorial you'll see how to create sticky elements and also use jQuery to activate them when the user scrolls to a certain point on the page. This is a sticky header.